Hed Kandi is a UK-based record label, events, club and music brand owned by The Ministry of Sound. 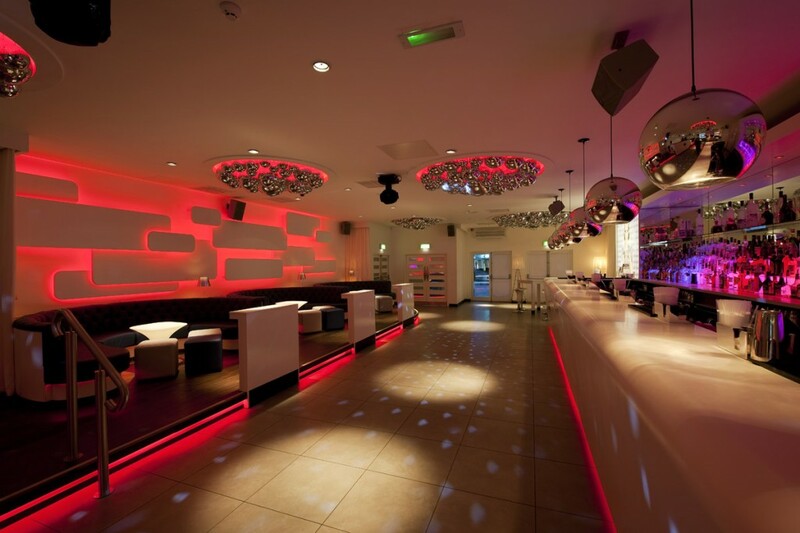 Hed Kandi had long been a fixture of the Ibiza music scene but looked to bring their events to UK venues. into were appointed as lighting designers to work alongside Julian Taylor Associates and Middlessex Sound and Light to realise the Hed Kandi concept in a number of venues. The lighting design was to help communicate the graphic identity of the brand and the feel of an international and prolific club/bar space. 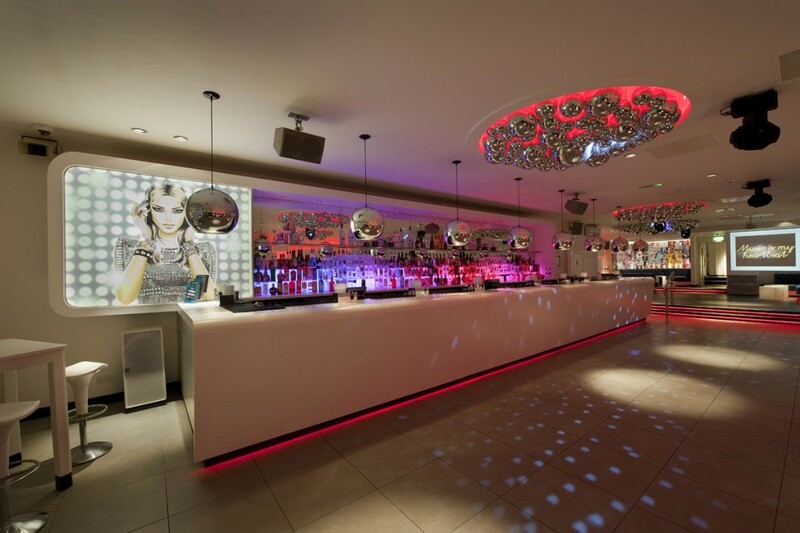 With a full LED colour changing lighting scheme the space changes throughout the day and night providing a range of light effects for early evening drinks through to late night clubbing. A DMX lighting desk is set up to control colour change LED lighting throughout and allows moving head projectors to provide total flexibility. 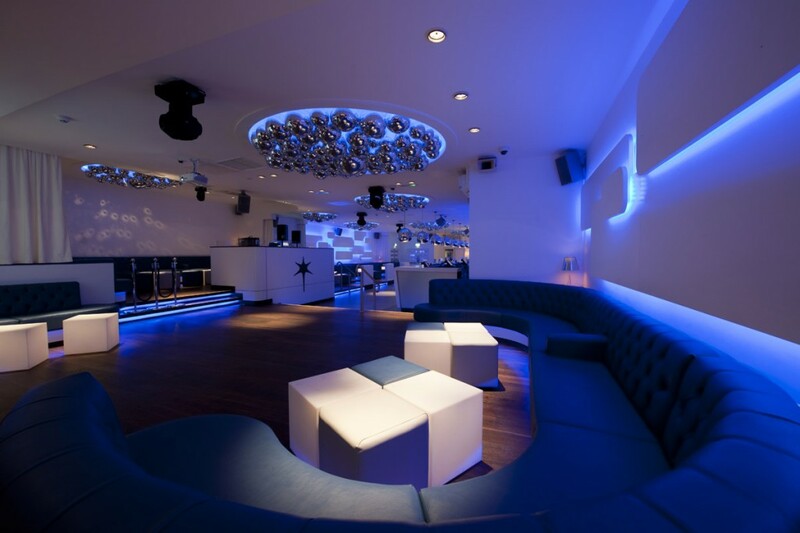 The result is the creation of atmospheric background lighting for low key events through to fully interactive sound to light effects for club nights.